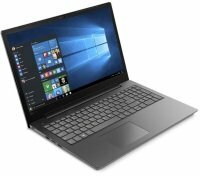 If you're shopping for an all-rounder kind of laptop, the Lenovo core i3 laptop range at Ebuyer is for you. Here you'll find Lenovo laptops ideal for helping you with your daily tasks. The Intel Core i3 processor makes them suitable for conducting admin, browsing the web, watching videos and much more. As well as a processor that'll help you with the day to day, you'll find top features such as HD displays, Windows 10 Pro and Bluetooth available across the full range above. At affordable prices, you're sure to find the model you're after, but if in doubt, don't hesitate to give us a call.